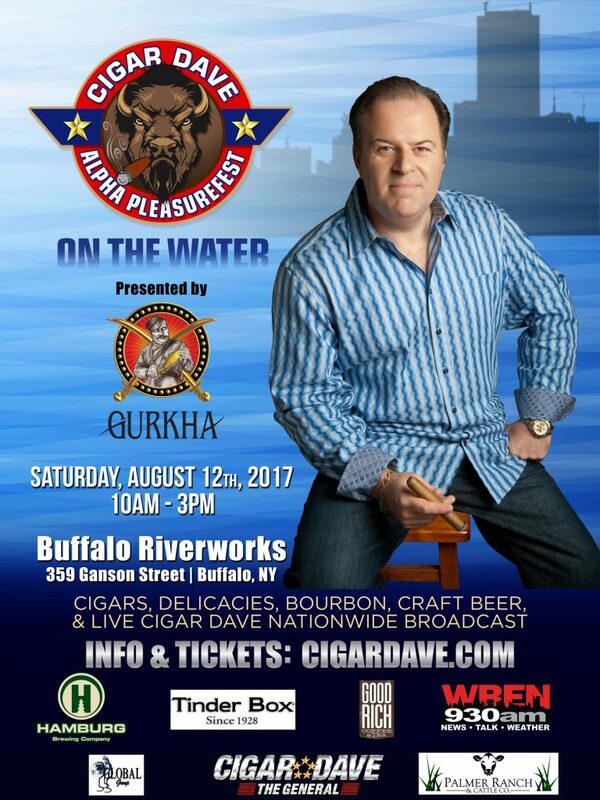 Join The General for a day of Alpha Pleasure Maneuvers including Cigars, Spirits, Culinary Delicacies and a Live Nationwide Broadcast of the Cigar Dave Show from Buffalo RiverWorks on Saturday, August 12th, 2017. This event is now SOLD OUT! This is an All-Inclusive VIP Ticketed Event. Tables seat eight (8) people. Only guests who purchase an entire table of 8 will have their tables reserved. All other tables will be open seating, with ample seating available for all guests. *Cigars are only available to Adults 18 years of age and up. *Cigar Assault Packs & Commeorative Gifts may only be picked-up at the Live Broadcast, and will not be shipped or held for pick-up after the Live Broadcast. Tickets are limited and subject to capacity limitations. In the event of hazardous and/or dangerous weather or other conditions beyond the control of the Show organizer, the Show organizer at their sole discretion may either reschedule the date of the Event or provide refunds in full. Show Organizer’s liability is limited to the amount of the ticket(s) purchased, and is not liable for any other costs, fees, or expenses incurred by the ticket purchaser. 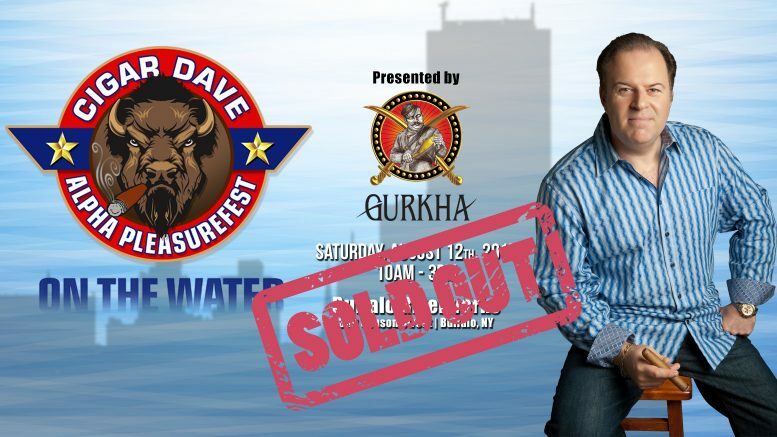 PLEASE CHECK WWW.CIGARDAVE.COM, TWITTER.COM/CIGARDAVESHOW OR FACEBOOK.COM/CIGARDAVE FOR EVENT INFORMATION IN THE EVENT OF HAZARDOUS OR DANGEROUS WEATHER.